The way things are going, they’ll be giving Evolve away for free in Happy Meals soon. It’s available for just £7.99 from Base, no voucher codes needed. I enjoyed the game when I played during the beta, although longevity might not be it’s strong point. Still worth a punt at £7.99. 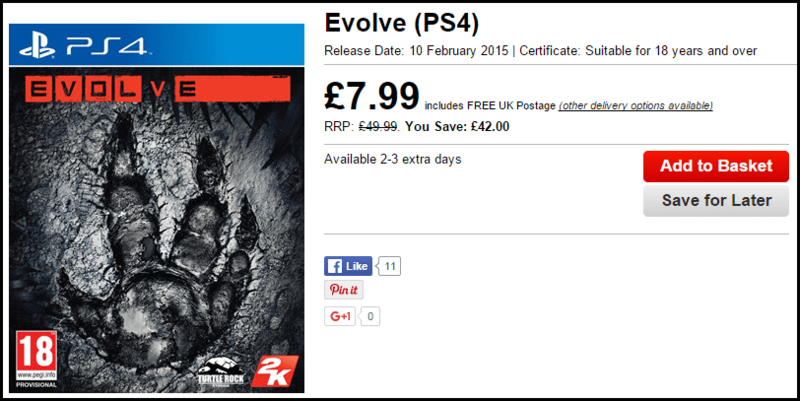 View prices at other retailers on the Evolve price comparison page.